Microsoft’s Xbox One console will soon include support for both Amazon’s Alexa digital assistant and the Google Assistant. 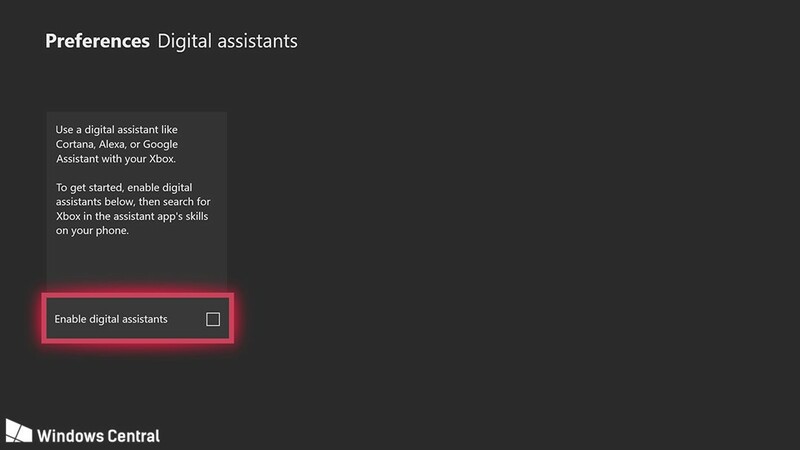 The future versions of the Xbox One dashboard include the ability to enable Alexa and Google Assistant support through a skill on both platforms. Microsoft currently only supports its own Cortana digital assistant, through its Kinect accessory or a headset, but Cortana has a limited set of skills right now. The expansion to Alexa and Google Assistant support could mean Xbox users will be able to control their console through both of the digital assistants. It’s not yet clear exactly what features Microsoft will support, but it will likely mean Xbox One owners won’t have to use a Kinect or headset to issue voice commands. Microsoft Xbox veteran Albert Penello recently joined Amazon to “help figure out how to grow Alexa / Echo presence in gaming,” and if this integration goes ahead then it will be yet another major addition to Alexa’s growing presence across devices. Microsoft has also been working with Amazon to integrate Alexa and Cortana, meaning all Windows 10 PCs will soon have Alexa built into them. Aamir Liaquat leaves BOL, but not on a good note!